A new report sheds light on one area where former national security advisor Michael Flynn appears to be helping federal prosecutors. The New York Times reports that prosecutors in Virginia are investigating Turkish lobbying efforts in the U.S., which involved Flynn during the 2016 presidential campaign. Flynn has provided “substantial” assistance in several investigations, including the Russia probe. He also appears to be providing information about Turkey’s secretive lobbying campaign. Federal prosecutors in Virginia are investigating a secretive lobbying effort undertaken by the Turkish government, which involved retired Lt. Gen. Michael Flynn during the 2016 presidential campaign, according to a new report. The New York Times reports that a veteran national security prosecutor is handling the case, which is being presented to a grand jury. Special Counsel Robert Mueller initially handled the case, but handed the workload to prosecutors in Virginia, where Flynn’s now-defunct consulting firm, Flynn Intel Group, was incorporated. As part of his Dec. 1, 2017, plea agreement, Flynn acknowledged making false statements to the FBI about his contacts with Russian ambassador Sergey Kislyak in December 2016. Flynn was fired from the White House on Feb. 13, 2017, purportedly for lying to Vice President Mike Pence when he denied discussing sanctions with Kislyak. Mueller’s sentencing memo revealed that Flynn has provided information for the Russia investigation, but it did not identify the other matters for which Flynn has helped. According to The Times, it is likely that Flynn has assisted the investigation into Turkey’s lobbying campaign in the U.S.
Flynn, who served as director of the Defense Intelligence Agency during the Obama administration, became embroiled in Turkey’s lobbying efforts in August 2016, weeks after a failed coup attempt was carried out against the Turkish government. Flynn Intel Group signed a $600,000 contract with Inovo B.V., a Dutch shell company owned by Ekim Alptekin, who then served as chairman of the Turkish-U.S. Business Counsel, a trade group controlled by the Turkish government. Flynn’s lobbying relationship with Alptekin was first revealed in a Daily Caller report published on Nov. 11, 2016, days after Flynn published an op-ed in The Hill. 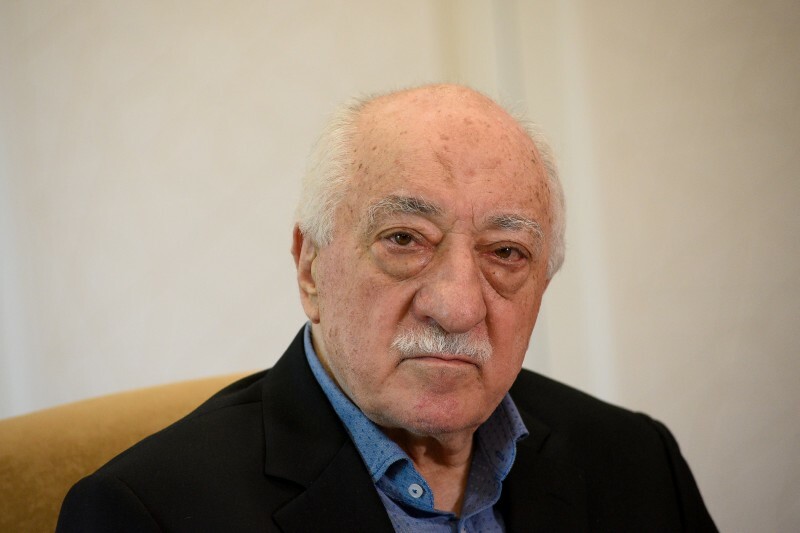 The article, which appeared on Election Day, Nov. 8, 2016, called for the extradition of Fethullah Gulen, a political foe of the Turkish regime who is living in exile in the U.S.
Recep Tayyip Erdogan, Turkey’s president, has accused Gulen of masterminding the failed coup attempt. Turkish government officials have directly lobbied the Obama and Trump administrations, but government officials have said that the Turks have not provided enough evidence showing Gulen’s involvement in the coup plot. The Flynn Intel project showed that the Turkish government also used unofficial channels in an attempt to extradite Gulen. Flynn Intel also paid $28,000 to former FBI official Brian McCauley for consulting work. Flynn’s main business partner on the project was Bijan Kian, an official at Flynn Intel Group and a former board member of the Export-Import Bank. Alptekin, who was reportedly interviewed by Mueller’s team in May 2017, has claimed that Kian introduced him to Flynn Intel. Alptekin also initially told The Daily Caller that he hired Flynn to help him conduct research for a business contract with an Israeli energy firmed called Ratio. But Flynn Intel’s contract with Inovo BV makes no mention of Ratio or any other energy companies. In the contract, Flynn Intel pledged to submit “criminal referrals” against Gulen using an “investigative laboratory” consisting of former FBI and military officials, as well as a former CIA director later identified as James Woolsey. Flynn disclosed details of the contract with Inovo BV when he registered on March 7, 2017 with the Justice Department under the Foreign Agents Registration Act (FARA). Flynn would admit in his plea agreement with Mueller’s team that he made false statements on those registration forms when he claimed that he wrote the anti-Gulen op-ed on his own initiative.